Firstly, I had purchased this from an Origins store in Hong Kong since there were many positive reviews on this product and when I looked online on the UK website, there’s a different name. 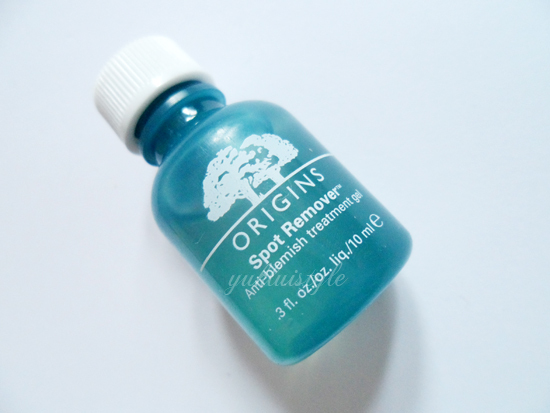 It is called Super Spot Remover. From what I am aware of, this is the same as the Super Spot Remover. I had a bad breakouts on my chin for the past month and had to start using this to banish the spots there. Had to change my skin care routine and add this to it. 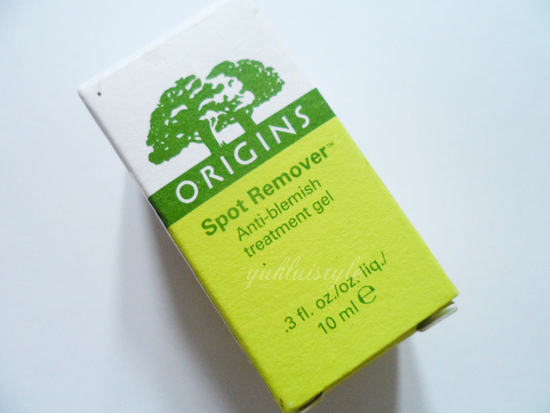 I squeeze a little bit of this onto a cotton bud then apply it directly to the spot. Gave me a bit of a cooling sensation which I thought was weird. I guess it soothes the area if it is red. It does sting a bit but it is is bearable. Stinging doesn’t last long. I’ve noticed that when this product dries, it forms a film layer. Not sure if that is normal or not. With this layer, it makes the area feel tight until I wash my face. I apply this nightly. This did help soothe and heal my spots but it isn’t an overnight thing. Within a week, my spots are clearing up. Quite a bit have gone now. It did work faster than using the usual tea tree oil stick. It has a minty smell with some witch hazel. It isn’t that bad. I quite like it myself. This is a small bottle but will last you a long time as you only need the smallest amount on the spot. For £13, I would purchase this again. I can see this lasting a very long time since I have the odd spot appear here and there so it is worth it. Ooh I need something like this 🙂 Thank you for sharing! Wow, it's amazing that apricot scrub is still around. It seems like beauty products are constantly changing.